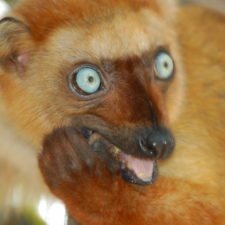 red ruffed lemurs (Varecia rubra). 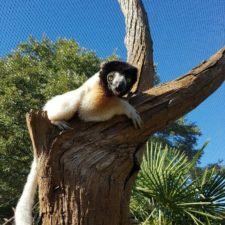 In addition, they will soon be housing black lemurs (Eulemur macaco), crowned lemurs (Eulemur coronatus), and mongoose lemurs (Eulemur mongoz)! 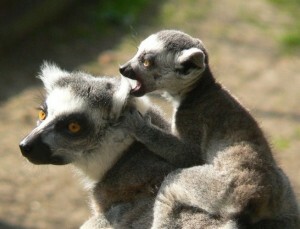 NaturZoo Rheine is involved in lemur conservation in several ways. 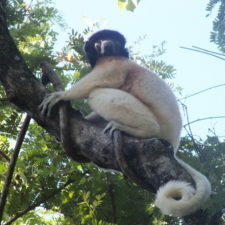 The Zoo’s director is the chair of the European Association of Zoos and Aquarium’s Prosimian Taxon Advisory Group (EAZA Prosimian TAG). This group is made of zoo and aquarium staff that have specialist knowledge and an interest in ensuring healthy captive management of their animals. 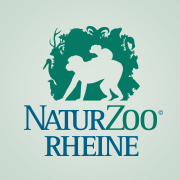 In addition, NaturZoo Rheine is a member of the AEECL and supports the Helpsimus organization, which works to protect bamboo lemurs. 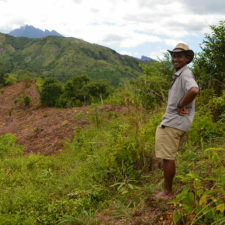 Contact AAECL at guyhrand@hotmail.com to learn more about donating.